We’ve all heard the voice of the inner critic—that part of us that judges us, shames us, and makes us feel inadequate. “You don’t want to give in to the Critic, and it doesn’t really work to fight against it,” explains Dr. Jay Earley. 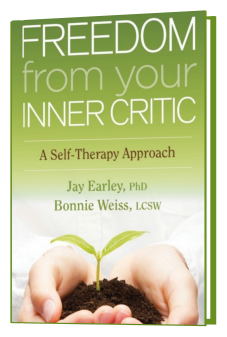 “But there is a way to transform it into an invaluable ally.” With Freedom from Your Inner Critic, Dr. Earley and psychotherapist Bonnie Weiss present a self-therapy approach for uncovering the psychological roots of our self-sabotaging inner voices and restoring our sense of worthiness. 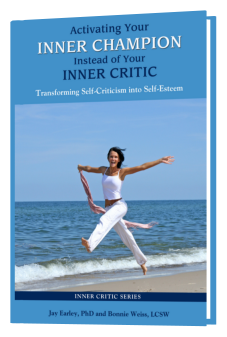 The book is intended to give people a quick and clear visual understanding of the Inner Critic and how it operates. It is designed to provide creative learning opportunities via visual representations, thought-provoking questions, imagery exercises, and artistic opportunities. 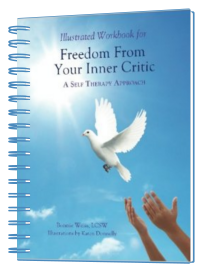 This Workbook can be used by therapists, counselors, or teachers familiar with the IFS model. Classes, groups, or individuals can interact with the concepts through discussion and personal sharing. 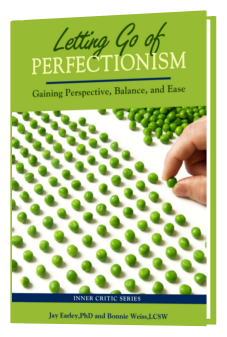 This book shows how to work through the psychological issues that drive Perfectionism so you can be released from this burden. You will gain perspective on what is needed, ease in your work, and balance in your life. You will learn about the different types of Perfectionism, the fears that drive them, and the childhood wounds behind them. This book shows how to work through the psychological issues that drive Perfectionism so you can be released from this burden. You will gain perspective on what is needed, ease in your work, and balance in your life. You will learn about the different types of Perfectionism, the fears that drive them, and the childhood wounds behind them. You will learn how to work through your fears, identify the perspective of ease and balance you want to develop instead of Perfectionism, and engage in a life practice to adopt it.